Oh Jude and Cardan, how I’ve missed those two crazy kids. Only by crazy kids I actually mean ruthless and ambitious Faerie conquerors. 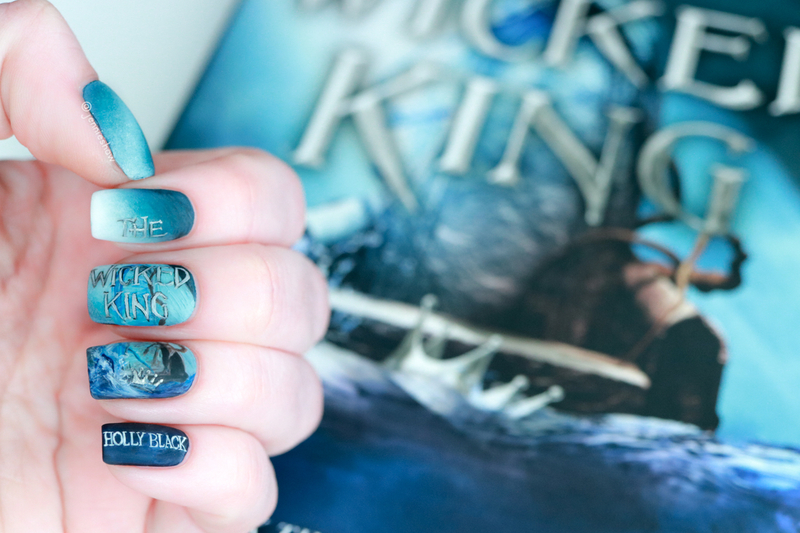 Granted, one was more willing than the other, and in THE WICKED KING, the mess Jude and Cardan left in their wake came back to haunt them big time. Naturally, that was bad for them and awesome for readers because hello webs of deceit! Jacket © 2019 Hachette Book Group, Inc.
Holly Black is likely a member of the Fae herself, because her mind works on a higher frequency than mine. 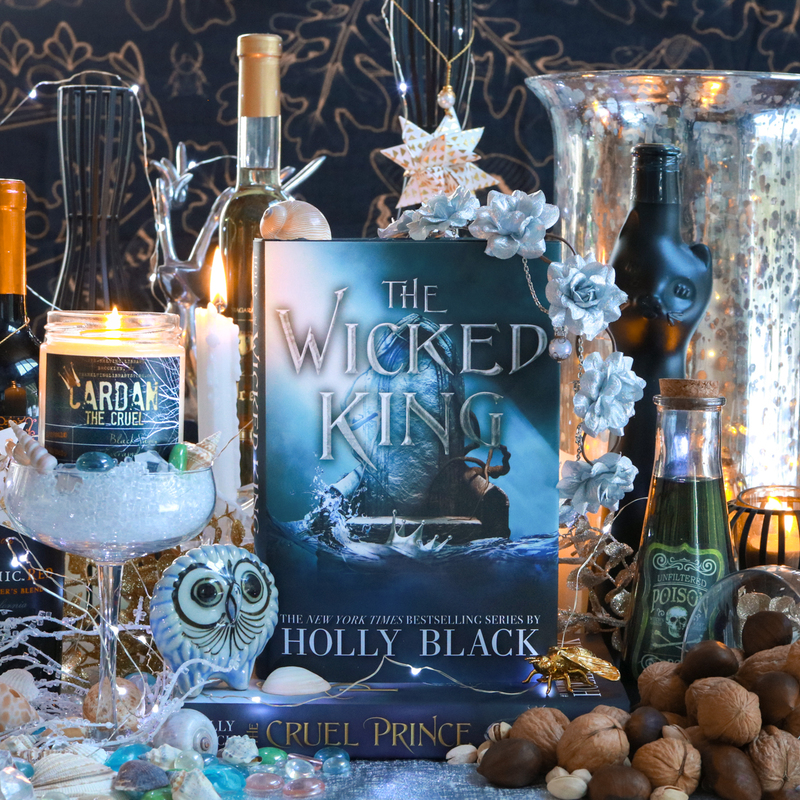 The true master of Fae trickery, with an uncanny ability to twist truths so they’re as close to lies as they can be, Holly Black outdid herself in THE WICKED KING. A series of terrible deals led to Jude and Cardan taking the throne, but each came with a price and holy cannoli, those prices were huge. Like a chessboard of betrayal and treachery, made more challenging by personal relationships and loyalties, each chapter had roughly 99 problems with few solutions in sight. The vast majority of those problems became Jude’s responsibilities to deal with, but what else had she expected when she assumed the role of puppet-master for a puppet who wasn't jazzed about his lack of autonomy? The first half was a slower burn than I expected, because THE CRUEL PRINCE was essentially non-stop madness, but it set the stage for the rest of the story. Also, because this was the middle book, there needed to be some setup for future conflict, along with a deeper dive into Jude’s character. First person POV kept me inside her devious brain and I really enjoyed seeing her lust for power turn into an addiction. Absolute power corrupts absolutely, and Holly Black did a great job of showing that shift because the truth remained that Jude was a mortal trying to control Faerie and, well, the Fae will always be a few steps ahead. Watching things unfold while getting more and more complicated had me burning through pages like a madwoman by the end, which was BANANAS. That’s about all I can say without spoiling the first book because it’s a series you simply must read and I don’t want to ruin a single glorious moment. If you want some fantasy goodness with a dark edge, look no further than The Folk of the Air series. Only approximately 355 days until #3. 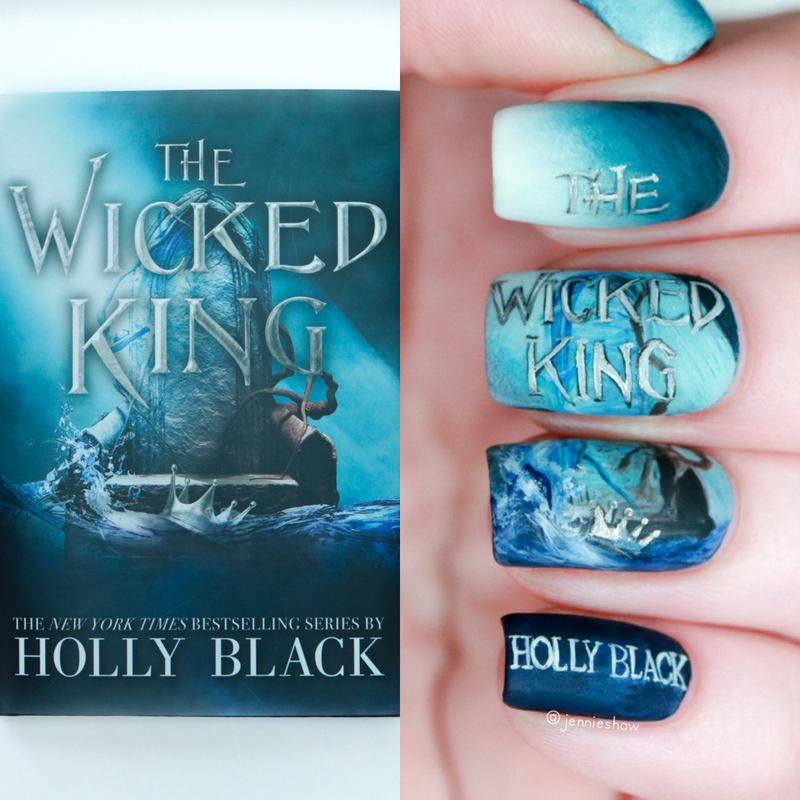 Yesss I love Holly Black's faerie books and this series is no exception! THAT ENDING THOUGH. Shocking. I love how dark she made Jude get, it was brilliant. BTW, got my copy of What's Left Between Us! Thank you! Sorry got caught up on the book. Love all the blues in the mani!! The throne looks like it was hard to do! And love this coverrrr, I have the regular one, which is also beautiful! Elyse!! Sorry for my terribly delayed response! SERIOUSLY THAT ENDING. Like, WHAT?!? What the heck's gonna happen in book three?!?! This series is so awesome, except for the heartbreak and agony haha! I'm super proud of this mani and yes, the throne was a real challenge but I love how it turned out. Especially the water. And yay for getting your copy of What's Left Between Us! I hope you love it!! You put so much detail in to your nails. That they always look amazing.